A watt-hour represents a unit of energy equal to one watt drawing power for one hour. 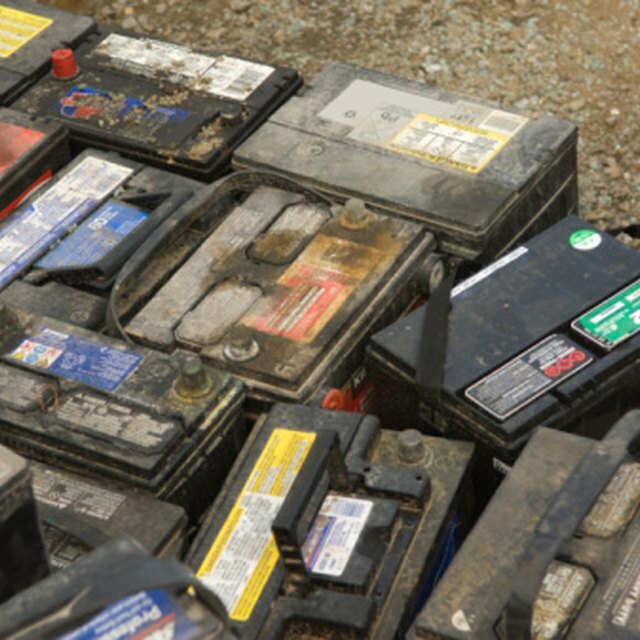 Since batteries are storage units for electrical energy, watt-hour specifications equal battery capacity. For Energizer batteries, the manufacturer chooses milliamp hours rather than watt-hours. To convert milliamps to watts, it becomes necessary to convert milliamps to amps (1,000 milliamps in one amp), and then use the formula watt = amp x volt. A standard Energizer AA battery, like all AA batteries, has 1.5 volts. With the constant voltage determining the watt-hours, specification becomes a matter of obtaining the Energizer specifications in milliamp hours and performing a conversion. Data sheets for Energizer's technical information can be searched on their website. For their AA battery, it looks to have a capacity of 2800 milliamps hours, or 4.2 watt-hours. The voltage on the industry standard 9-volt battery is, obviously, 9 volts. Energizer's 9-volt battery's milliamp hours equal 610, or 5.49 watt-hours. Thus, the 9-volt battery has a greater capacity than the AA, which means that it is likely a 9-volt Energizer battery will outlast a AA battery. All AAA batteries, a smaller size battery than AA, are 1.5 volts. Energizer's AAA battery has a capacity of 1250 milliamp hours, or 1.87 watt-hours, giving the AAA battery considerably less capacity than a AA battery. With the same voltage of a AA or AAA battery (1.5 volts), the C battery differs in that it has a milliamp capacity of 8,200. When converted to watt-hours the number becomes 12.3 watt hours, demonstrating the difference in battery capacity among the smaller AA and AAA as opposed to the larger C.
With a larger size than a C battery but the same 1.5 voltage, D batteries should have a greater capacity. A specification of 21,000 milliamp hours, or 31.5 watt-hours, gives the D battery more than two and one-half times the capacity of the C battery. Alley, Robert. "Energizer Watt-Hour Battery Specs." Sciencing, https://sciencing.com/energizer-watthour-battery-specs-7425932.html. 13 March 2018.